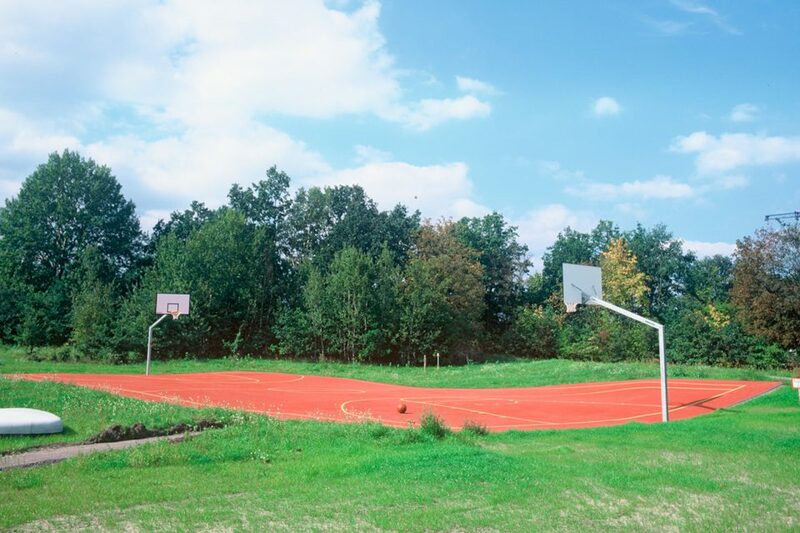 A life-size basketball court is installed on a suitable site on former military terrain, which is being converted into a park landscape in the framework of the German Federal Garden Show. The unevennesses and slope of the existing ground is not altered; rather, the playing field takes on the highs and lows of the existing topography, covering it like a wet hand towel. 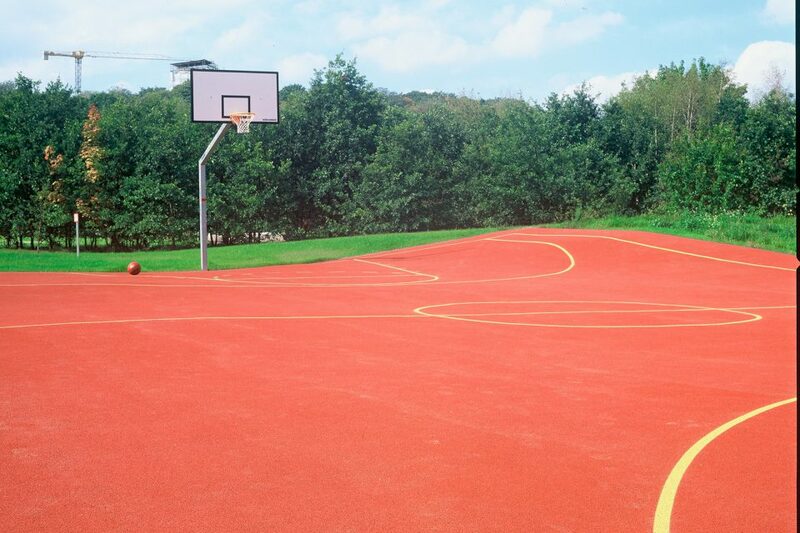 Aside from its uneven surface, the basketball court’s size and equipment corresponds to a professional court and can indeed be played on. The large sculpture embodies a cross between two ideal states. On the one hand, it points to the park situation with its natural topography. On the other hand, it points to a playing field defined by certain dimensions and a specific set of rules. Both states are equally present, and neither is favored. Order and discipline, the principle dominating the site in the past, are present as well as the ideas of leisure, creativity, and a natural terrain form. The playing field disguises itself as nature and vice versa. 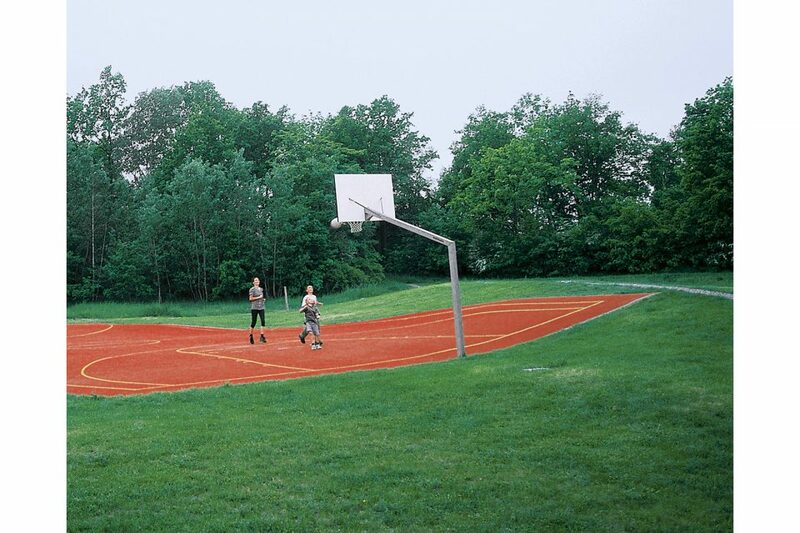 Transforming a familiar playing field into a landscape and vice versa creates a materialized paradox. The sculpture, explicitly intended for use, alludes to the history of the site as well as to its future use.